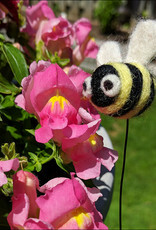 Needle Felting Bee - Spun Fibre Arts, a local and online yarn store specializing in natural fibres. Spring is abuzz and it’s the perfect time to learn to needle felt a cute bee on a wire to decorate your house plants, hat, or whatever you choose! This class is the day before Mother’s Day so why not treat your Mom to a special early gift. 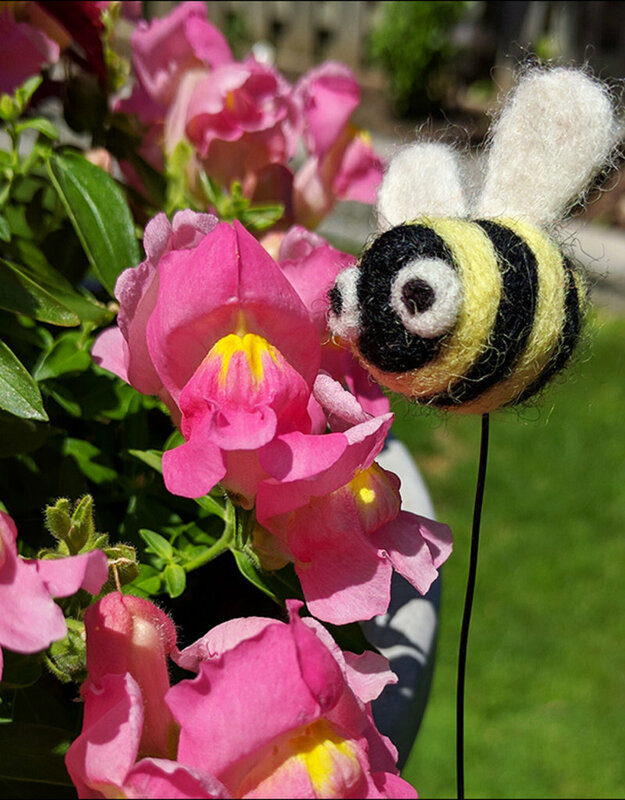 Techniques you’ll learn are wrapping wire around wool then wrap and felt wool to create the core bee shape, felt in the yellow stripes, bee wings and the cute bulgy eyes. 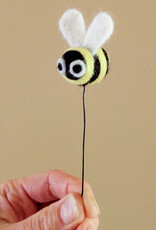 Materials: A 36-gauge triangle felting needle, a 38-gauge spiral felting needle, 3 grams - Core wool, 2 grams - 045 Lemon wool, 3 grams - 014 Licorice (Black) wool, Foam block is optional.